When it comes to this genre I don’t think it is a good idea to divulge too much of the game’s story, so lets just outline the idea of the story. Your wife Jane is missing and after drinking yourself into a drunken stupor you wake up in an unknown building. It’s now your job to find your way home and find out what happened to Jane on the way… but you soon realise you are not alone and this is not a good thing. 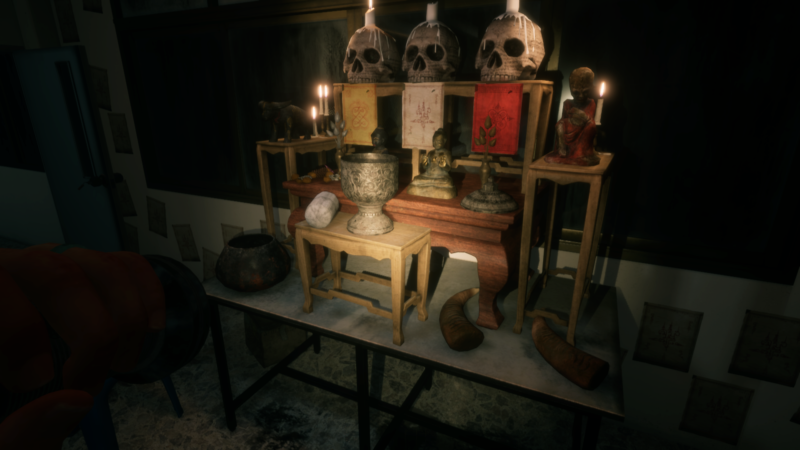 One thing I really like about Home Sweet Home is it is based on the mythology of Thailand, and this really helps the game play out in the Asian horror mould. You may be asking… surely I have some way of defending myself from the games threats? The answer to that is no, all you have to make your way through is game is a flashlight, bringing a more intense feeling to the game. 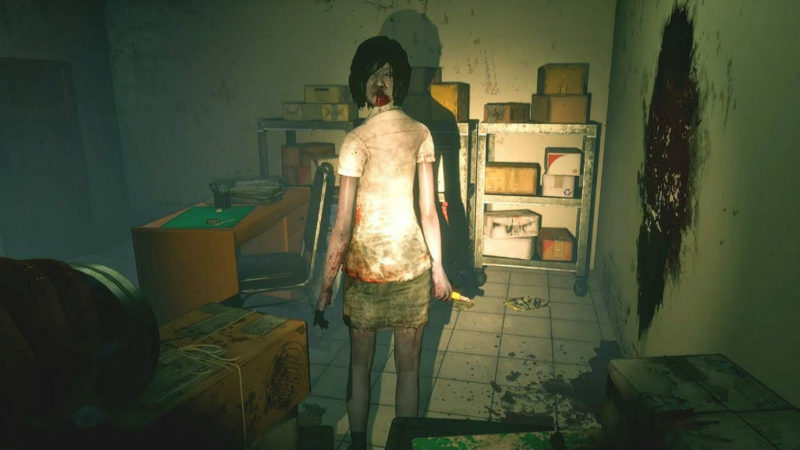 Where the setting and premise makes it fall into horror the game plays out like a stealth puzzle game. Now, the gameplay is where the first and main frustration with the game comes into fruition. 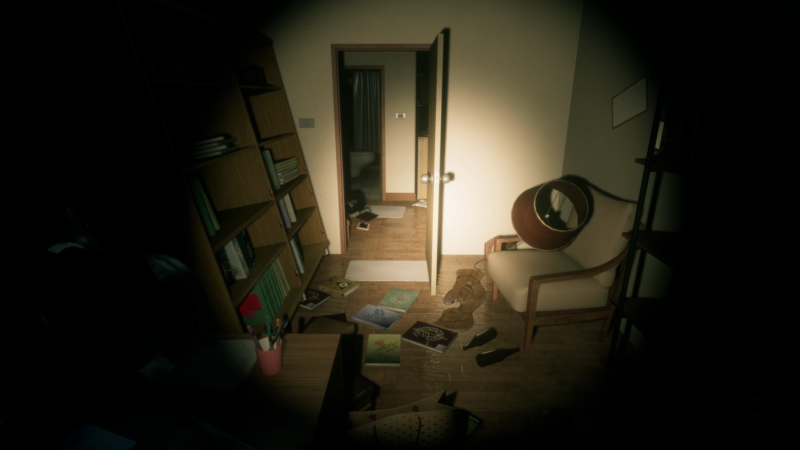 Given you only have the flashlight and the stealth mechanic, the game comes down to trial and error. Which can soon become very frustrating due to the very small allowance for error. This starts straight at the beginning of the game, as with no real explanation on what you are actually meant to be doing, they expect you to know you need to run and hide in a locker. This results in a number of deaths as you try to figure just part out, and of course the restarting of that part and watching the set-piece again. When it comes to the puzzles they are great in how the clues are laid out in the world, and you might miss these clues at first. But, once you find them it will soon be clear on what you have to do, and I think this is not a bad thing. This means you wont be stuck around in the puzzle sections for too long. Now the game can be played in both VR and TV mode, and this is where my second issue came in play. For me the VR support seems like is something that was a last-minute add-on. The reason I say this is the image all seems a little blurred and like it has some sort of film grain placed over it. I was really underwhelmed by the way they have managed the visual side of the VR mode, and this is only magnified when you play the game in TV mode. It was to the point where I played a good portion of the game in TV mode due to the visual dip in VR. However, where the visuals were not that great for VR mode, the sound design was fantastic. This was the standout part of the game, the audio design is perfect to build that Asian horror atmosphere and the level of horror high. 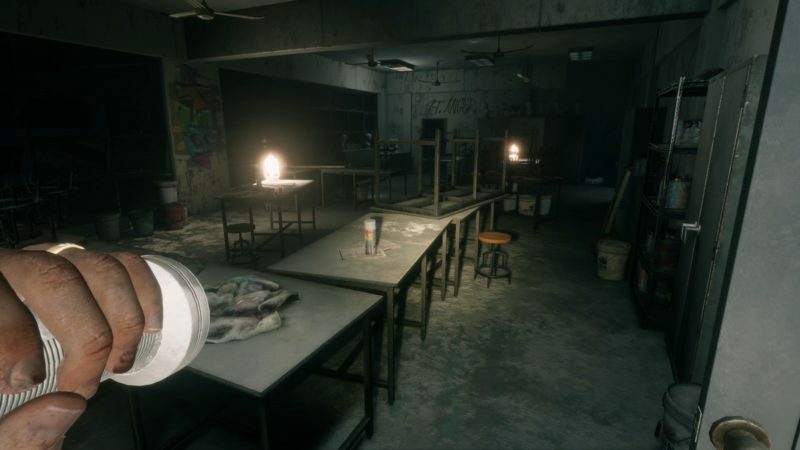 The team have used the music and sounds perfectly to set the feeling in the dilapidated buildings, setting your characters mental state, and dragging you into the world. The game is best played seated in my opinion, as you really don’t need to stand for any reason. To control your character you will be using the DualShock 4 in VR mode, as you would in TV mode. This means the controls are mapped well, and lets you concentrate, which can be essential for the trial and error element. Then this is where the second issue comes in from the VR side, with the staggered turning in the games VR mode (for motion sickness) it makes turning slower than it should be, which is an issue when you need to turn and run from an enemy. Again, as with the visual aspect making it much more enjoyable in TV mode. When it comes to length the game takes around four to five hours to get through given all the trial and error involved. In this time when you have died multiple times, you start to become a bit distanced from the atmosphere and scares. This will make it hard for many to be motivated to playthrough the game for the second time. 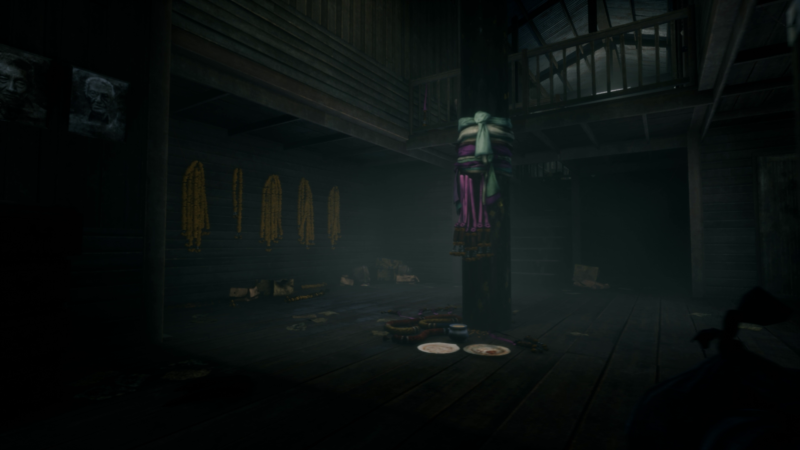 Home Sweet Home brings a unique horror game to the PlayStation VR, with is links to Thai mythology and carrying the Asian horror feeling. With some of the best sound design I have seen on the PlayStation VR, setting the atmosphere and mental state of your character perfectly. Unfortunately it comes with frustrations from the trial and error aspect of the gameplay having very small margins for success, and a visually underwhelming experience in VR. All things you will have to take into account, if you are considering buying the game for the VR mode alone.